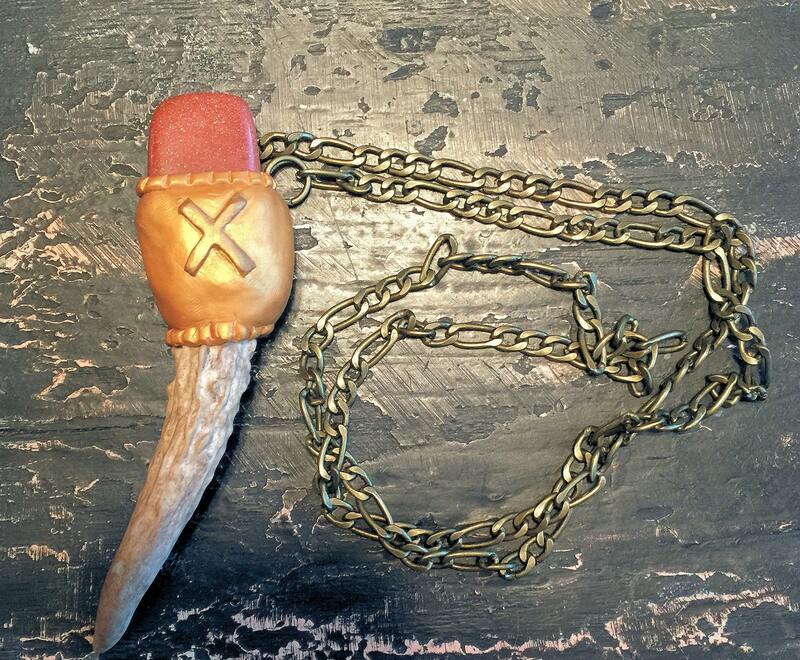 This necklace has been sculpted using a high quality polymer clay on a deer antler, finished in a beautiful golden color with a 28 inch brass chain. 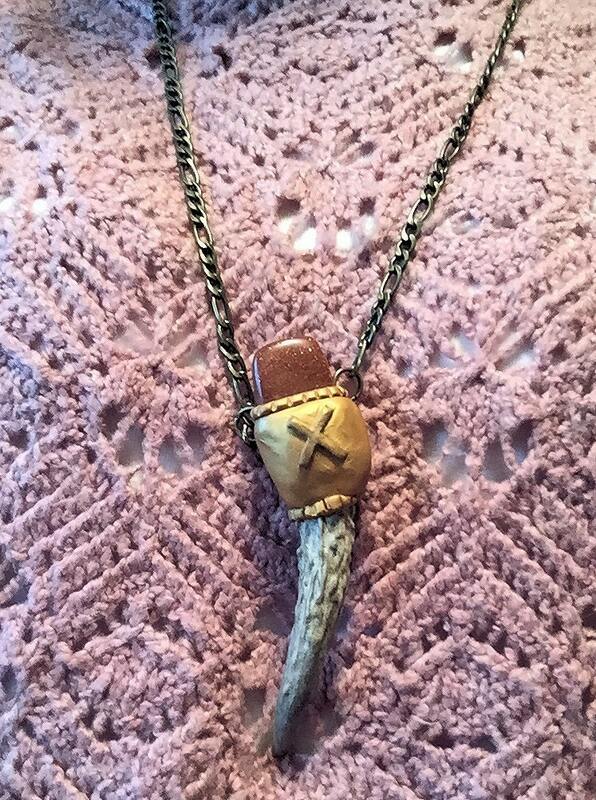 I have featured the Gebo rune on this necklace paired with a lovely copper flaked goldstone. The meaning of the gebo rune is gifts. It brings balance in all things, exchanges, partnerships, and relationships. I chose to pair goldstone with gebo because according to the lore of goldstone is helps to calm and stabilize the wearer while also protecting, helping to attain goals. This makes for a perfect combination with Gebo.